Want to sell your watch to one of Birmingham's best watch dealers? We run an excellent and popular postal service for watches. Its safe and secure using Royal mail's excellent Special Delivery Service which means your items are insured and trackable. As established watch buyers in Birmingham we are keen to offer you the very best price for your watch, working or broken. 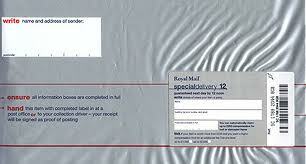 PLEASE NOTE We pay cash or bank transfer or cheque for watches received through the post. tell us which you prefer . We accept all watches by post. 1/ Print out our watch selling form Click here. No details are recorded online, so your information cannot be hacked. Include it in your parcel or if you don't have a printer just include a note detailing your name, addresss and day time phone number in your parcel. Please ensure all your details are correct. If you have a mobile phone number then please tell us. Most importantly tell us how you want to be paid ie cash, cheque, paypal, or transfer . There is a section on our form for this. 2/ Just put your watch and watch paperwork in a box and post it to us via Royal Mail's Special Delivery Service which you should ask for when you take your box to the Post Office for posting. The cashier will weigh your items and you should have an idea of how much insurance to ask for Items are normally insured for £500 standard but you can pay for extra insurance for a couple of pounds up to £2500. I Dont forget to put your name, address and phone number in the box as well so that we can contact you. 3/ On receipt and within 2 working days we will phone you with an offer for your watch . 5/ Of course In the unlikely event that you refuse our offer we will post your items back to you at our cost!! We promise you the very best and fairest customer service.